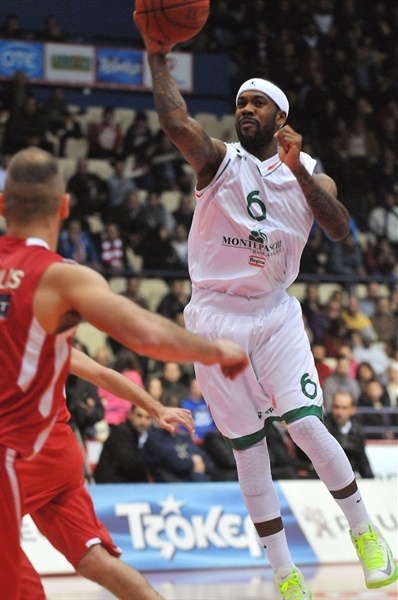 Bobby Brown scored a fast break layup with 1.7 seconds remaining as Montepaschi Siena finished the game on a 0-7 run over the final 33 seconds for a thrilling 72-74 win over Olympiacos Piraeus at Peace and Friendship stadium on Friday night. The victory improved Siena to 4-0 and a share of the first place in Group F together with Caja Laboral Vitoria, while the reigning Turkish Airlines Euroleague champions fell to 1-3 and fifth place in the Group F standings. During the contest, the two teams traded leads for the final three quarters, but Olympiacos went up by 72-67 in the final minute after some magic from Vassilis Spanoulis. However, Thomas Ress and Brown need only 14 seconds to tie the game and Brown used all his speed in the final seconds to race for the game-winning layup. Daniel Hackett sealed the win by blocking a potential buzzer-beater from Acie Law. Brown led Siena with 22 points plus 6 assists, Hackett scored 11, Ress finished with 10 points, while Viktor Sanikidze contributed in victory with 9 points plus 8 rebounds. 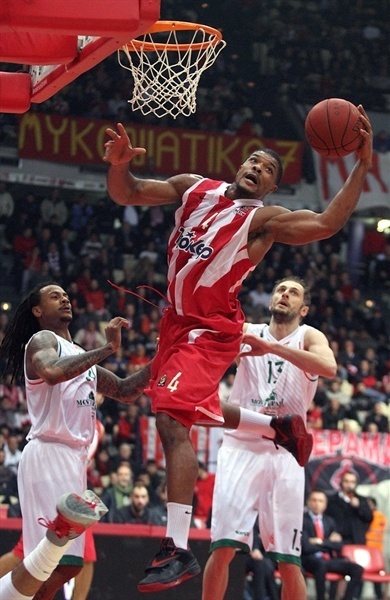 Kyle Hines had 13 points plus 9 rebounds for Olympiacos, and Spanoulis also scored 13. 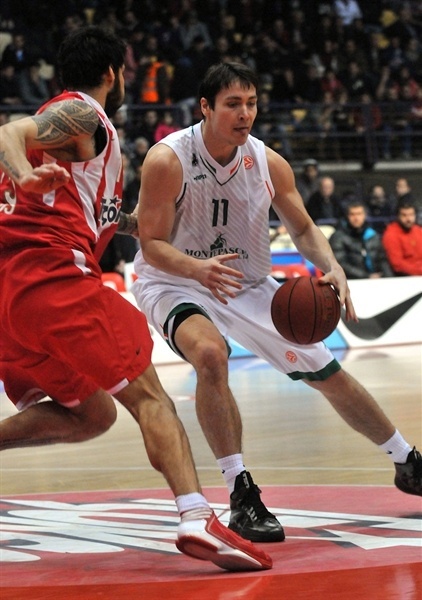 Giorgi Shermadini chipped in with 9 points and 7 rebounds and Stratos Perperoglou also had 9 points in defeat. Evangelos Mantzaris started things off with a triple for the hosts before David Moss made a layup for Siena’s first basket. A drive from Spanoulis and 3 free throws from Giorgi Shermadini made it 8-2 before Daniel Hackett converted on a layup-plus-foul. With both teams playing up-tempo basketball, Georgios Printezis and Brown traded triples, before Shermadini and Kristjan Kangur each threw down monster dunks. Kangur's triple cut it to 15-13, but Spanoulis had couple of layups and Kyle Hines dunked to extend the Olympiacos lead to 23-15. However Montepaschi managed to come closer with Kangur sinking another triple and Thomas Ress making a long baseline jumper for a 25-20 scoreline after 10 minutes. Hackett’s jumper opened the second quarter, and Moss scored a layup to get the visitors within 1 point. 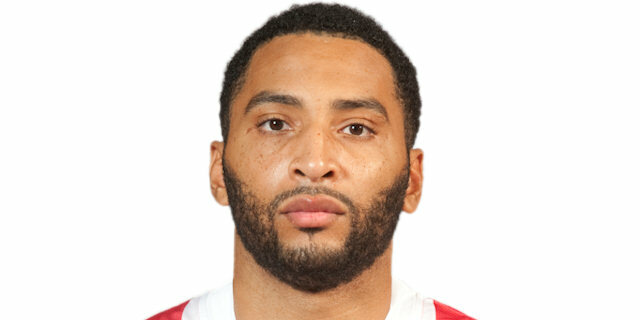 Hines’s basket-plus-foul was the Reds’ lone field goal against the visitors’ disciplined defense in a span of more than six minutes, but as the pace slowed down, so did the scoring. Sloukas hit a long jump shot before Ress muscled his way to the rim. A dunk from Hines and a triple from Stratos Perperoglou made it a 5-point game, but Viktor Sanikidze hit from downtown while stringing together 7 points, and Brown sank a three-pointer from the right corner as Siena grabbed its first lead and held on for a 36-38 halftime advantage. Hackett opened the third quarter with a layup, but Shermadini answered. Mantzaris then hit a baseline jumper and Shermadini, again, threw down a fast break dunk for 42-40. Siena regained the lead with a triple from Moss, before Mantzaris and Marco Carraretto traded threes. The see-saw battle continued with a reverse layup from Printezis, and Brown’s driving layup in traffic made it 48-48. With the defenses stiffening and players hustling, the visitors went up again with baskets inside from Sanikidze and Brown before Acie Law’s layup just before the buzzer made it 51-52 after three quarters. Hines and Ress traded easy dunks to start the fourth quarter, and Carraretto hit a long jumper to make it 53-56. Kostas Sloukas hit from downtown on the ensuing possession, but Ress answered with a jump shot. With players on both teams showing increased emotion, every basket seemed to carry great importance. Perperouglou drove the baseline for a layup-plus-foul, but Brown replied with a three-pointer. 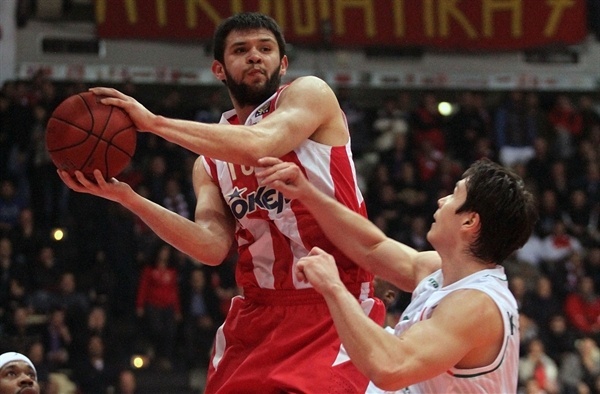 Olympiacos managed to string together 6 points and go up 65-61 when Hines scored twice inside and Perperoglou made a baseline jumper. A couple of layups from Hackett tied things up at 67-67 as the game headed for a dramatic ending. It was time for Spanoulis to take over. 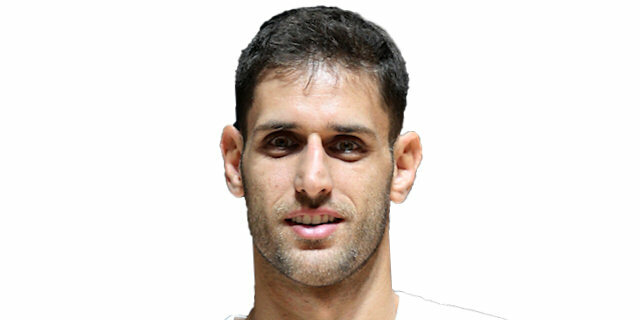 He hit his first basket of the second half – a triple with 90 seconds remaining – and then followed it up with a jump shot to put Olympiacos up by 5 points. A dunk by Ress kept Siena’s hopes alive, and the visitors tied the game 19 seconds before the end with Brown calmly sinking 3 free throws after being fouled behind the 6.75-meter arc. Olympiacos had the ball, but Hines missed from close range, and Brown had enough time to race for a fastbreak layup and 72-74 lead. Still 1.7 seconds remained on the clock, but Hackett blocked Law’s potential game-winning shot and Siena started celebrating an improbable victory. "It is a bad loss against a team that played without pressure and used mixed defenses to stop our game… We have the responsibility because we allowed them to win, but I have to mention that they played very well. Now we came to a difficult situation, because there are many games to correct it. 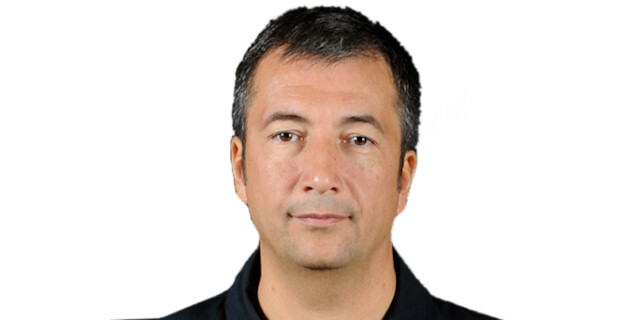 The positive thing is that Shermadini showed that he can help us a lot." "First of all, I want to congratulate both teams. Maybe it was not the most spectacular you will see, but I think both teams played with great intensity. 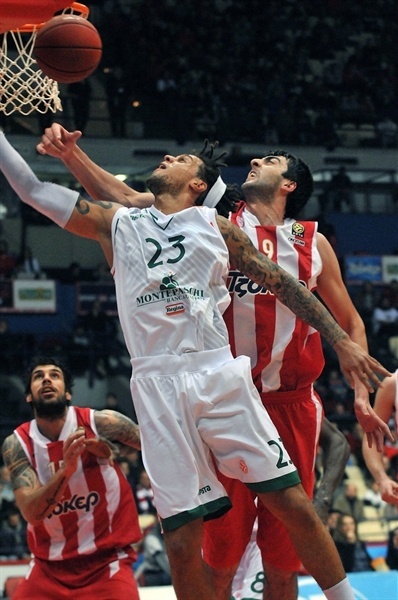 Siena and Olympiacos tried to do their best to take this win, which was very important for both teams. As for the end of the game, it was crazy, but I believe both teams deserved to win tonight. I want to thank my players for their special effort tonight. We arrived in Athens in a very tough situation, because we came off a tough, 30-point loss in the Italian League, which is not usual for Siena. Some of our players like Ben Ortner, Aleksandar Rasic and Matt Janning were unable to play tonight. Everybody understood the game plan and did their best with very solid, consistent defense, even playing undersized." "It is a kind of suicide on our part. We committed a lot of mistakes and they punished us. I have to mention that Montepaschi Siena read our game and managed to trap us. We had the same problems at the beginning of the regular season, but we came up big and I am looking forward to doing it again. 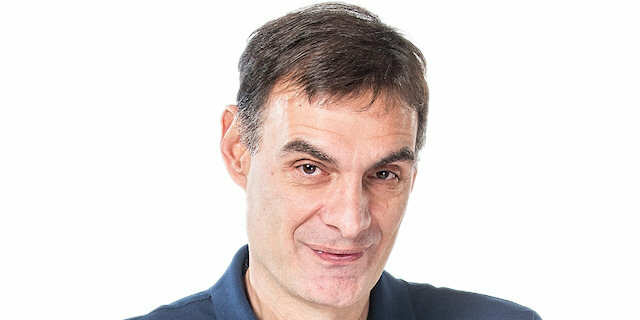 Starting inTel Aviv, next week, we have to retrieve our confidence and the usual way of playing." "We missed two crucial layups in the last seconds of the game and they took advantage of that to beat us. But it is still early and nothing was decided yet. Now we have to go to Tel Aviv and get the win. "